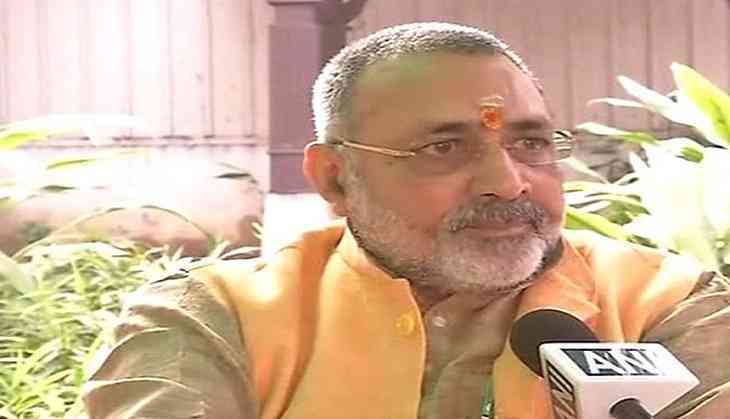 Minister of State for Micro, Small and Medium Enterprises Giriraj Singh has announced that he would prefix his 'gotra' with his name and henceforth, be called "Shandilya Giriraj Singh". Meanwhile, the minister also asked the Hindus to follow the practice to save 'Sanatana Dharma'. This development came to light after the Bhartiya Janata Party (BJP) leader announced his decision on micro-blogging site Twitter">Twitter on Monday. "To save the country, Sanatana has to be saved and to save Sanatana, we will have to tread the path shown by sages and seers and attach ourselves to our respective Gothras. From today, I change my name to Shandilya Giriraj Singh, after Rishi Shandilya. I request all Sanatanis to prefix their Gothras to their names", he wrote on Twitter">Twitter in the Hindi language. This is not the first time that Singh, who represents Nawada Lok Sabha seat in Bihar, triggered controversy. A few months back, the BJP minister faced immense criticism from the leaders of several political outfits for stating that Muslims should support the construction of Ram temple.